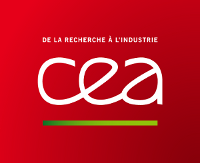 List, a CEA Tech institute, will participate in the 4th edition of the Sustainable Places conference from 29 June to 1 July, in Anglet (France). The 23rd ITS World Congress will be held in Melbourne, Australia, 10–14 October 2016. Made from List Carnot institute achievements and key facts and highlights this activity report illustrates 2013 research work in the field of smart systems. List institute comprises five sites in Paris Region (France) based on Plateau de Saclay. The institute offers many opportunities to trainees, co-op workers, PhD students and researchers.